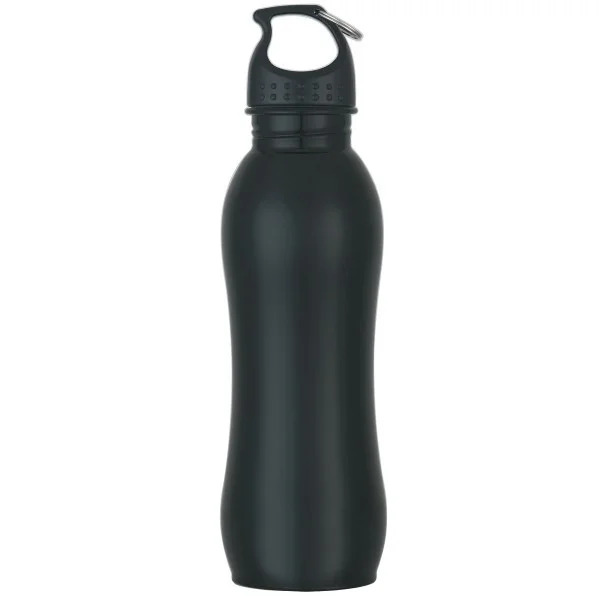 Premium Quality Stainless Steel Bottle Holds 25 Full Fluid Oz. 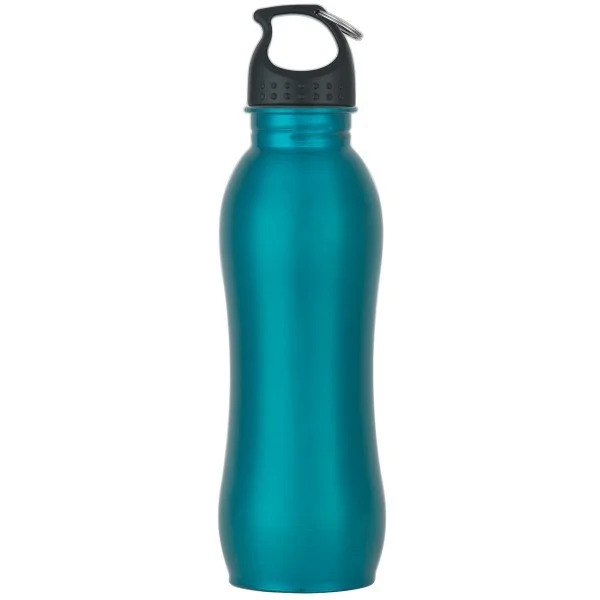 Chuck full of eco-friendly attributes and an array of color options in bright, shimmering hues, the Customizable Stainless Steel Water Bottles collection is among our most celebrated. 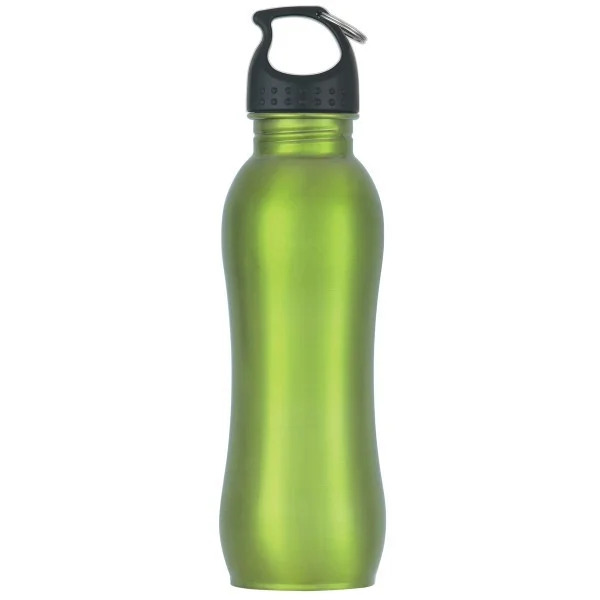 With nine vibrant colors to choose from, available imprint areas on the top, middle and bottom and an optional carabiner key on top, these eco-friendly water bottles are ready to represent your brand with every aesthetic detail. Custom Earth Promos design experts will work with you every step of the way to build an exclusive design that matches your brand aesthetics and showcases a strong eco-friendly initiative. One of our in-house designers will work with you directly to determine which color will best complement your graphic design and meet your branding goals. We'll then discuss the exclusive design you'd like to have screen printed on your order of Customizable Stainless Steel Water Bottles and the potential for carabiner attachment and engraving. 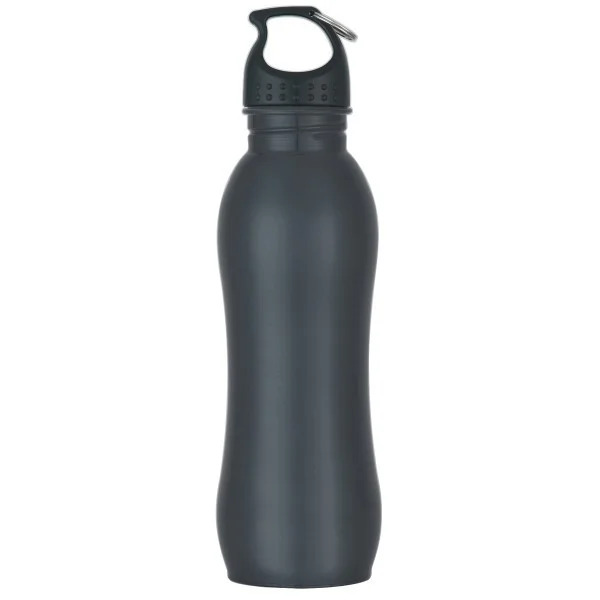 When you include the carabiner key on top of your stainless steel water bottles, we can provide custom laser engraving to enrich the quality and strengthen the brand power of your design. The laser engraves in white. Stainless steel water bottles must be ordered in Silver, Blue, Black or Green for optimal engraving results. Consumer demand for sustainable products and production methods has risen drastically over the last few years. The positive social and environmental impact of brands is currently the most determinate factor when it comes to the purchasing decisions of your customers. In fact, more than 50% of global consumers are willing to pay more for the products and services of businesses who have a strongly established and communicated eco-responsible presence. If your marketing strategy does not yet involve a "green" initiative or an ad campaign driven by sustainable standards and environmental investment, your brand is taking a great risk of falling behind eco-friendly competitors. Environmentally conscious brands are growing at four times the rate, receiving more attention and higher market share values amongst investors, it is no longer possible to deny the power of "growing green." Custom Earth Promos' Customizable Stainless Steel Water Bottles will represent your brand's commitment to sustainability by reducing both waste and pollution, while also guaranteeing the safety of your customers with a reusable water bottle guaranteed to be free of BPA. Customizable Stainless Steel Water Bottles are the perfect blend of vibrant visibility, convenience and sustainability, a modern day recipe for eco-optimized brand marketing. Every time a customer carries their custom water bottle to work, the gym, the pool, shopping, on errands or anywhere else the day happens to take them, your brand will be exposed to a myriad of new prospects. With the strong statement of sustainability and waste reduction, awareness of your brand will build with admiration and keep you a step ahead of competitors, particularly those who have been delayed in taking a proactive, publicized approach to planetary preservation. You'll also be doing a wonderful thing for your customers in assuring they are not ingesting the dangerous, cancer-causing agents that have been found in BPA. 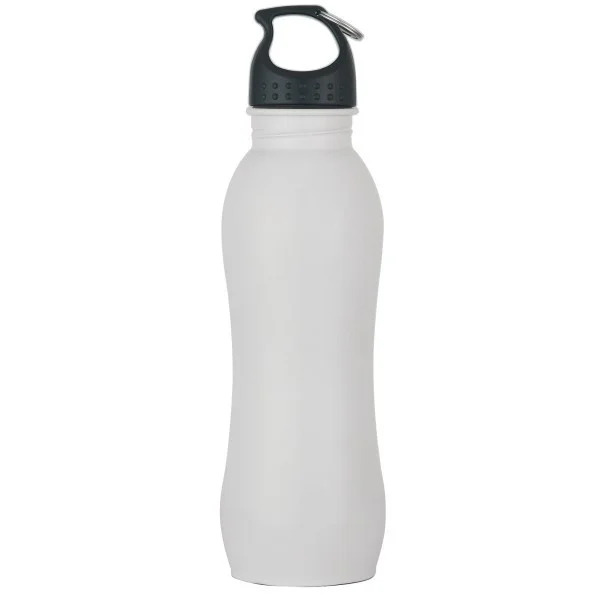 Our Customizable Stainless Steel Water Bottles are stringently tested and guaranteed to be BPA-free, a product both you and your customers can be proud of. Empower your customers, the planet and your brand by adding an eco-friendly association to your brand that will continue to help your business flourish. 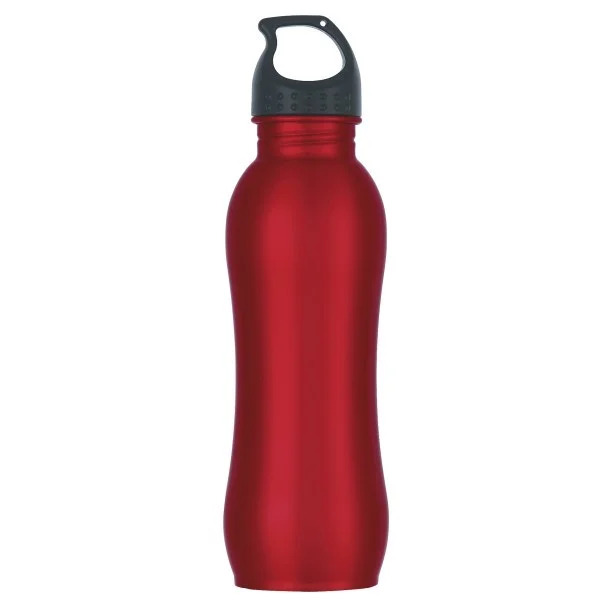 Available in 8 different colors and a host of potential add-ons, Customizable Stainless Steel Water Bottles are a perfect product to promote the eco-responsible initiative and social awareness of your brand in memorable style. Fully brand your design to match your brand and optimize your exposure by working side by side with a Custom Earth Promos in-house design expert, building an exclusive graphic imprint for the main, middle area of 2" W x 2" H. You can also opt to utilize top or bottom imprint areas, depending on your design goals and personal preference. Your design expert will be with you every step of the way to ensure that the final blueprint design is all you dreamed of and more. We'll discuss the potential of adding the carabiner key to the top with engraving or if a more streamlined style is going to be more fitting for your campaign. With Custom Earth Promos you can rest assured that you'll have a powerful eco-friendly marketing tool to establish your environmental responsibility while providing your customers with a product that also helps to keep them safer and happier each and every day.